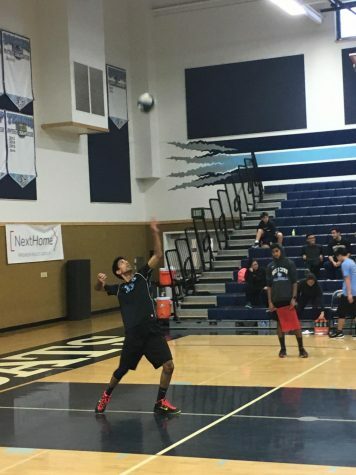 Although Wildcat volleyball has faced difficulties throughout the season, things began to look up as they played the third-seeded San Ramon Valley High Wolves during a home tournament on Oct. 24 and the thirteenth-seeded Dublin Gaels away Nov. 3. 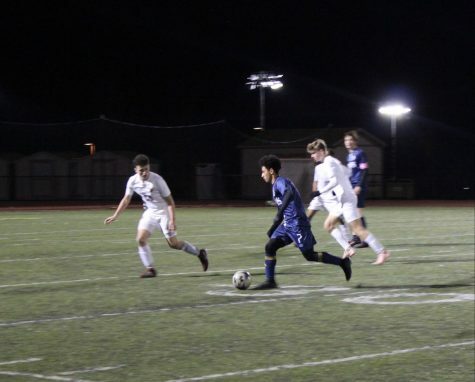 While the San Ramon Valley Match resulted in a 2-1 Dougherty defeat, an impressive performance by the Wildcats allowed players to realize their ability to compete against challenging teams. 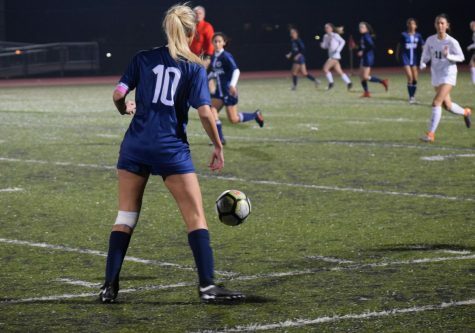 Team members utilized their newfound confidence in the games that followed, crushing Dublin 3-0, and, as a result, qualifying for the North Coast Section Playoffs (NCS). The nail-biting San Ramon match began with a strong float serve by Dougherty sophomore Shruti Mangipudi. However, after the Wildcats lost a tip off at the net, the Wolves gained service. 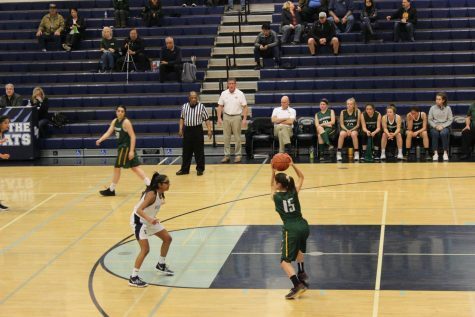 The tipping tally rose for San Ramon Valley, but junior Aileen Tang consistently transitioned to her defensive position, saving two consecutive tips. Wildcats picked up the intensity after a series of San Ramon Valley fumbles such as missed serves and an under the net violation. Fueled by the Wildcat lead, Tang’s streak continued with two kills and another saved tip. However, the Wolves countered the Wildcats’ careful coverage with daunting serves into deep seams. Still, further San Ramon Valley blunders and the Wildcats’ precisely placed kills led Dougherty to victory in the first set, 25-17. The second set began with the Wolves’ service, but they soon lost possession after a blocking error. Similarly, the Wildcats’ service was short-lived, as Tang’s ace was followed by a serve out. Calculated service strategies continued, and a series of San Ramon Valley aces to the short left seam led the Wildcats to rearrange their receiving formation. Dougherty’s adjustment, however, was fruitless, as San Ramon Valley’s deceptive serve to the right hit the net. During the following rally, Mangipudi sprinted cross court to bump set to senior Sam MacIlwaine, who killed the ball deep left. Despite Dougherty’s efforts, the Wildcats began to fall behind, leading Coach Cincotta to call a time-out once the score reached 9-13. Reenergized, the Wildcats picked up the intensity, with consecutive kills by junior Cynthia Zhu, digs by junior Julia Galloway, and coverage by sophomore Abi Longson. Under pressure, San Ramon Valley called a time-out once the score reached 21-22, Wildcats trailing. Unfortunately, the Wildcats’ aggressive battle in the rallies and set that followed was just shy of victory, losing 22-25 in the second set and 17-19 in the third. While the Gaels were leading 20-24 at game point, due to the Wildcats’ persistence and effective communication on the court, they came back, winning 26-24. The Wildcats were triumphant in the second set as well, which concluded with a Dublin free ball out. Highlights include a saved tipped by Mangipudi, who dove cross court for the ball, and Junior Margaret Qu’s deep left kill that left Dublin’s defense on the floor, unable to react. While the Gaels battled to take the lead, raising the score from 17-13 to 17-17, a Dougherty time-out and pep talk from Coach Cincotta were able to give players the spirit and determination to win the second set. The third set began with Dublin’s service, followed by a deep right kill from Zhu. As Dublin struggled to return Dougherty’s kills and strategically placed tips, defensive players Galloway and Tsang’s ability to quickly react and dig from multiple spots on the court led the Wildcats to take a 10 point lead, 15-5. 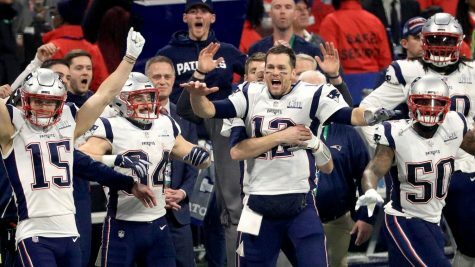 After a series of unsuccessful plays, Dublin eventually called a time-out, which indeed boosted the Gaels’ performance and brought the score to 20-15. But ultimately, when Dublin attempted to block a kill by Longson, the ball fell to the Gaels’ court, resulting in a Wildcat victory 25-17.